Click to view: Suzuki SV650 owners reviews, specs and image galleries. 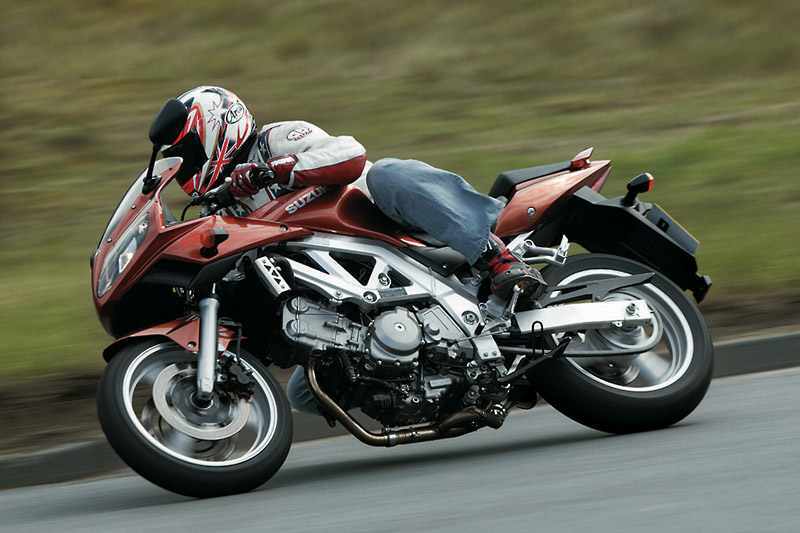 Sometimes a bike can add up to much more than the sum of its parts to the extent it punches way above its weight. 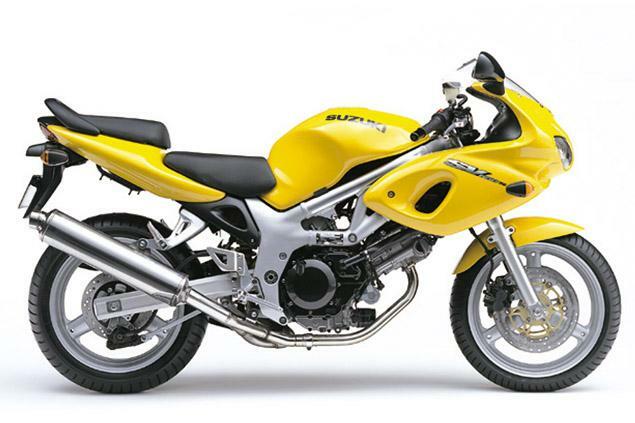 Suzuki’s SV650 is just such a machine. Most budget bikes involve a basic steel frame and a hand-me-down engine. Not the SV. It’s got bespoke aluminium and a specially designed V-twin which give it unique character and just enough poke. Its huge sales and massive following testify just what a sweet bike it is. The handling and brakes are excellent plus it’s practical and extremely cheap to run as well. Reliability’s good too, if not flawless. The SV’s popular with ladies and beginners but it’s perfectly capable of satisfying more mature motorcycling palettes, too. It’s at home anywhere from track days to touring to commuting. To be honest as beginners bikes go, it’s not the easiest to ride. The throttle response is very snatchy and the steering’s rapid. The unfaired ‘N’ version is easier to ride with its upright bars but a confident novice should have no problem with the faired ‘S’. Almost 100 owners took the time to tell us about their bikes via our on-line questionnaire and almost every one was gushing with praise for the peppy middleweight. Thanks to all! As well as going well, being reliable, practical, versatile and cheap to run it’s got that X-factor too. It’s a plucky, willing performer that delivers the goods with a side order of charm.